TurboFloorPlan Home & Landscape Pro is the easiest way to design your dream home! Plan all phases of your home from foundation, HVAC, electrical, and plumbing to the walls, windows, doors and custom roof. Visualise a new kitchen, bath, or room addition with custom cabinets, lighting, furniture and appliances. Create “colourboards” of your favourite paint colours, flooring, windows treatments… then swap in one click! Even design outdoor landscapes including decks, fences, paths, lawns and gardens with custom topography and outdoor lighting. It’s everything you need! 2D Engine - Support for customisable line, fill, and pattern colours. Drawing Styles - Customise and apply drawing styles for any objects or group of objects. Line and Pattern Styles - Customise lines and patterns to your design. High performance and high-quality rendering for 2D geometry and text. 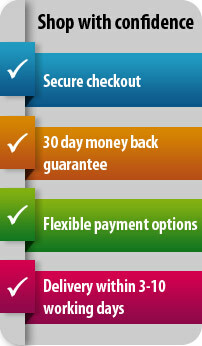 There is also a spport for customisable line, fill and pattern colours. Transparency: Options for Lines, Fills, Patterns & Text. More custom text options. Choose multiple fonts and attributes. Easily edit materials to customise your designs. Edit RGB values, Hue, Saturation, Brightness, Shadows, Midtones, Highlights, and Gamma Correction. Create your own custom drawn 2D plant symbols or customise existing ones. Customisable Plant Sizing allow you to set the exact plant size needed for your design. 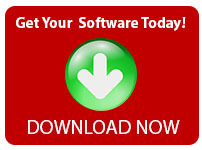 Compatible with new Sketchup formats and easily edit objects within the program. 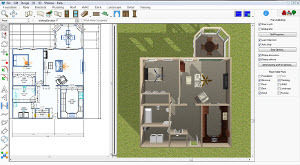 TurboFloorPlan Pro offers thousands of decorating and remodeling possibilities. Many of the product libraries include nationally-recognised, brand name objects or materials you can try before you buy. TurboFloorPlan even includes “green” objects and materials such as recycled glass counters, bamboo cabinets and flooring. Materials – Choose from a variety of brand name materials and paint colours, or use the Material Importer™ to photograph and save a material to be added to your design. Download and import new objects into your library dynamically. Update your library with new objects to put the finishing touches on your project. Also, the recently re-organisation library simplifies searches for plants, materials and objects. Use view library and preview before choosing a category in the library navigation window. Create “colourboards” of your favourite paint colours, wood floors, carpet, wall coverings and apply them instantaneously to any room. Options to define colours and materials. Try different combinations before you commit. Easily replicate your favorites in other rooms. Build a 3D model of your home design with RealModel®. Get started FAST! Predesigned, drag & drop, editable designs you can use as-is or customise to your personal style! Unlimited design possibilities! Mix plants, rock, mulch, pavers, brick and other realistic materials to created unique shapes, paths and flower gardens. All types of objects are included in the libraries, or photograph your favourites and add them! Versatile tool lets you design fences with any custom material, colour, or photo object — even draw your design freehand! Design beautiful landscapes with a multitude of trees, shrubs, flowers, and vegetation. PlantFinder makes it easy! Sorting feature lets you select growing parameters, International zones, sunlight, climate, water, and soil conditions. Colour-coded zone maps make plant selection easy and foolproof. Photo-realistic images of real-world plants can be viewed from any angle. Even get complete information about every plant in the database with the Plant Details dialog. Easily add your favourite plant…from your photograph! Expand plant database to virtually limitless custom choices. Add your favourite plant to your virtual landscape. Custom plants are included in Estimator. Just need to add a decorative landscaping to your existing house? Take a picture of your existing home and easily add it with PhotoView™! Definable shadows make your home and new landscape design come to life.